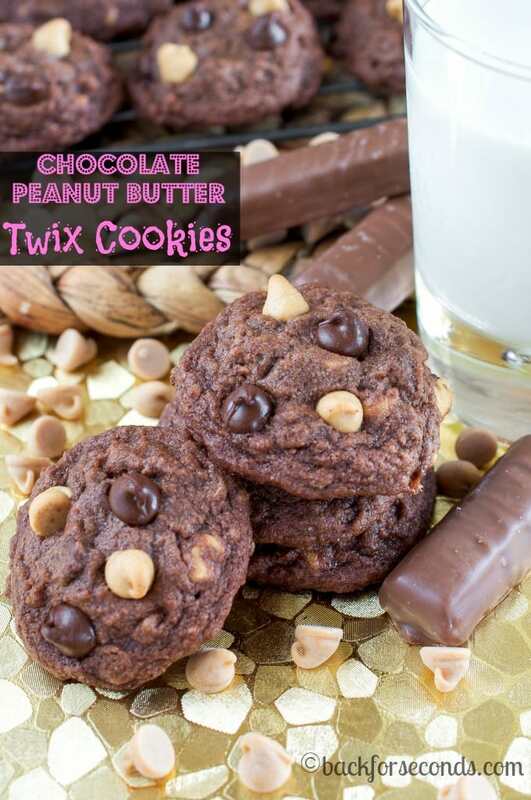 These soft and chewy Chocolate Peanut Butter Twix Cookies are sure to become a new favorite treat in your house! What more could you want in a cookie? So, as some of you know, I have been really really sick this pregnancy. I am 6 months along now, and for the past month or so I have been able to eat again (most of the time anyway). The sad part is, I now have an aversion to peanut butter. It’s so wrong. Peanut butter and chocolate are basically the best combo ever, and it makes me sick to even smell it. So, these cookies were not for me 🙁 Everyone else was happy to eat my share though! If you make these, enjoy a few for me too, okay? Thanks. I haven’t even tried these and I want to agree with that “best of all time” rating – yummmmm! I’m buying Twix tomorrow, because I NEED a batch of these. These look like ooey gooey perfection! YUM! Hope you feel better soon! I’m adding Twix to my grocery list. 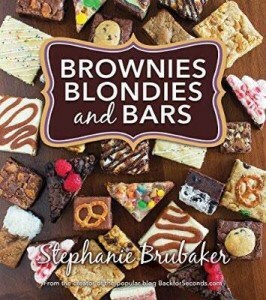 These cookies look ah-mazing. 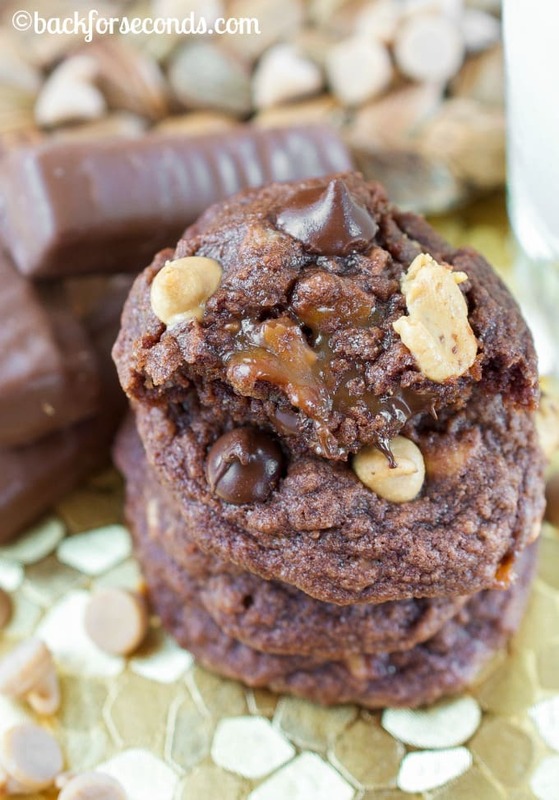 Oh my gosh – I love Twix…and in a cookie! Even better! Seriously delicious! Oh YES! Twix have always been one of myfavorite candies. We’re hosting a big backyard party in early August and I think I’ll add these Twix bar cookies to the dessert table. Thanks for the recipe! Pinning! 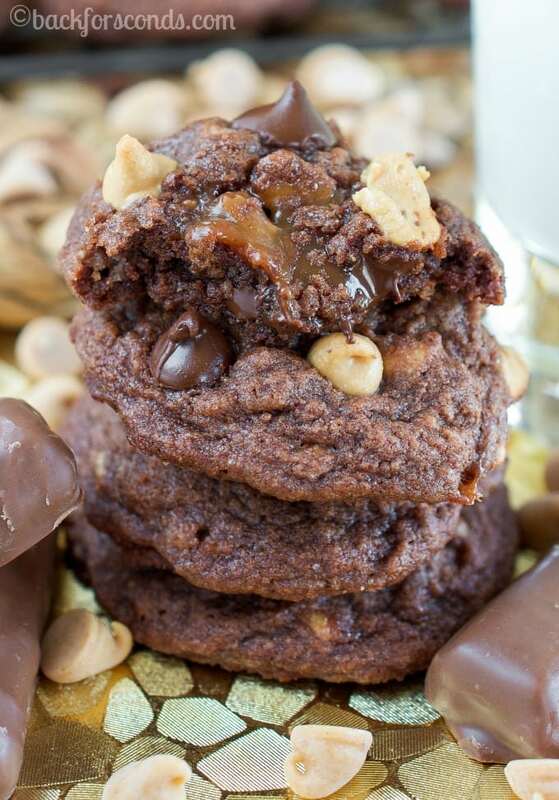 Legit speechless, these chocolate peanut butter twix cookies look unreal! Definitely I will prep it on the weekend for my family. 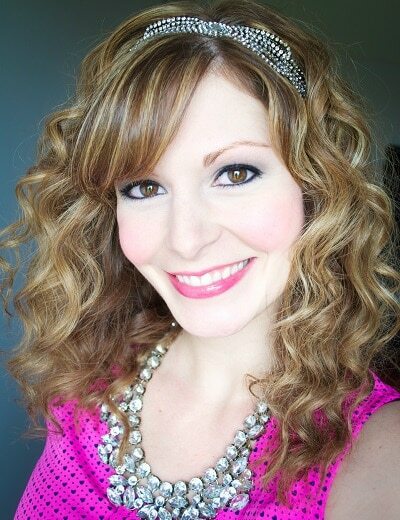 Thx for sharing Stephanie!